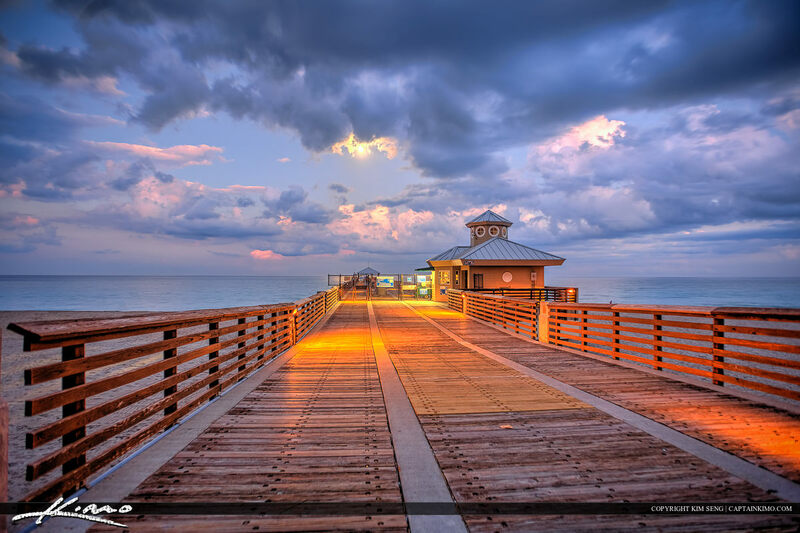 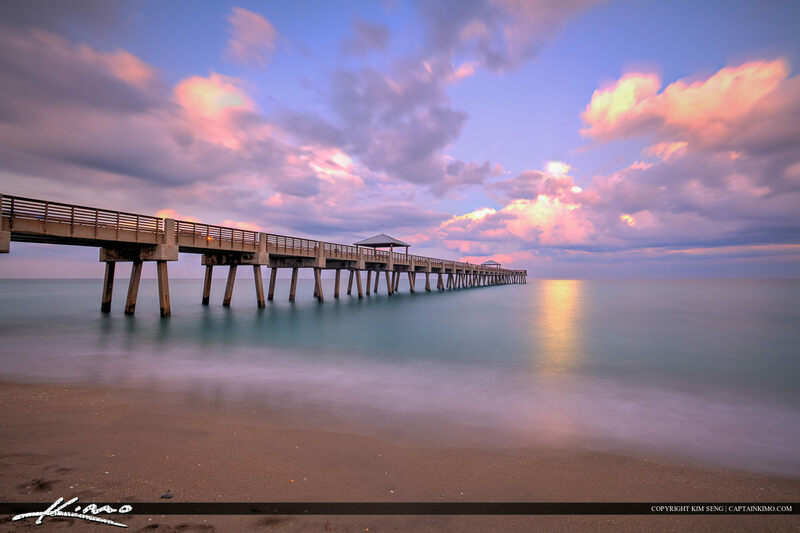 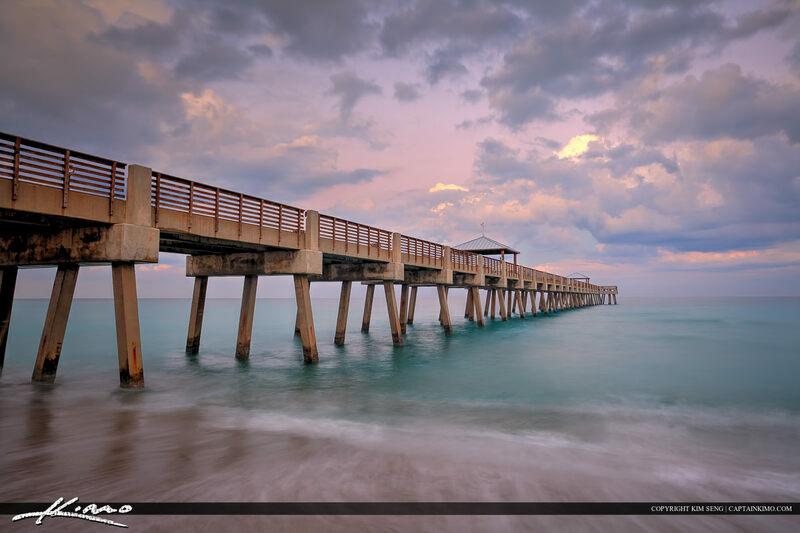 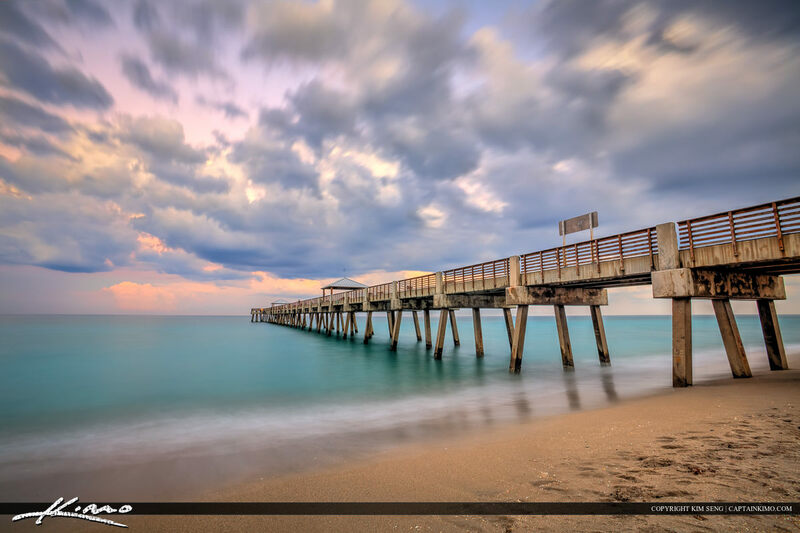 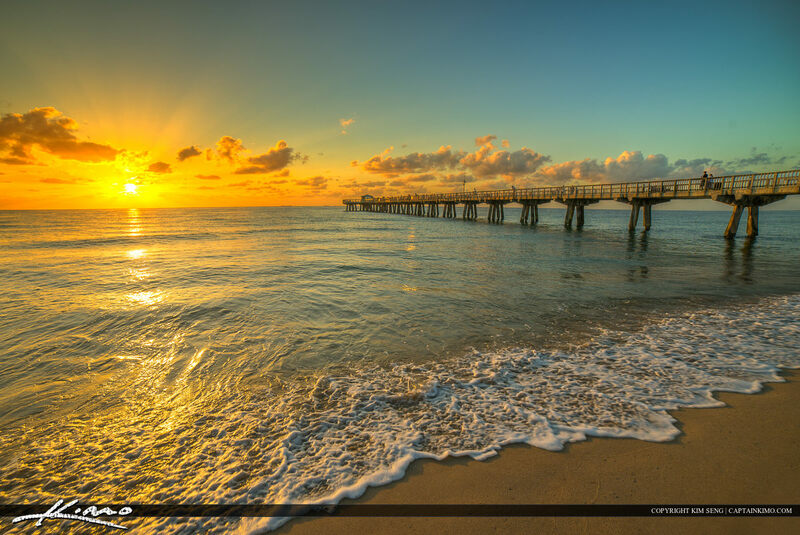 Gorgeous sunset glow at 1000 North in Jupiter Florida at the fishing pier in northern Palm Beach County. 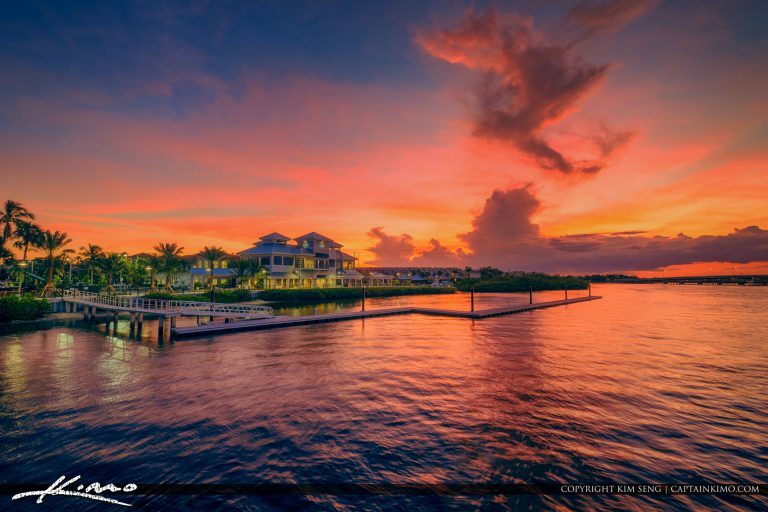 HDR image blended with original exposure from EasyHDR and Luminar 2018. 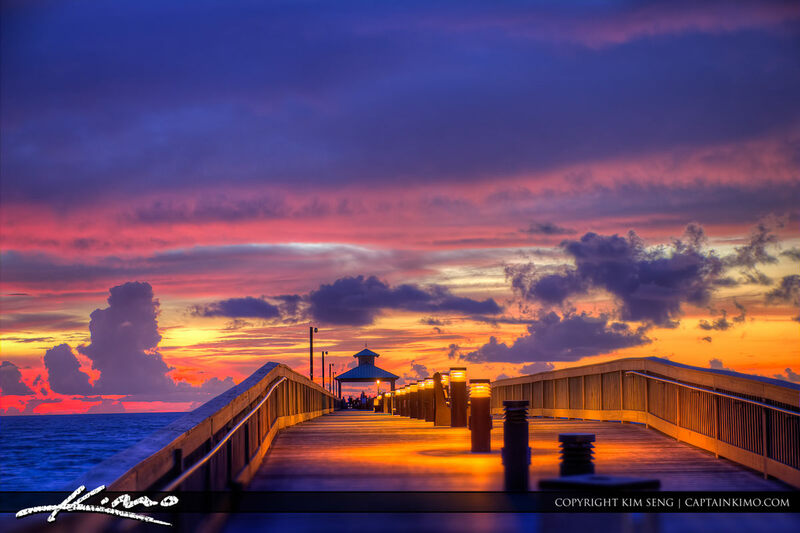 Fort Myers Fishing Pier taken at Sunset from Lee County Florida along the West Coast. 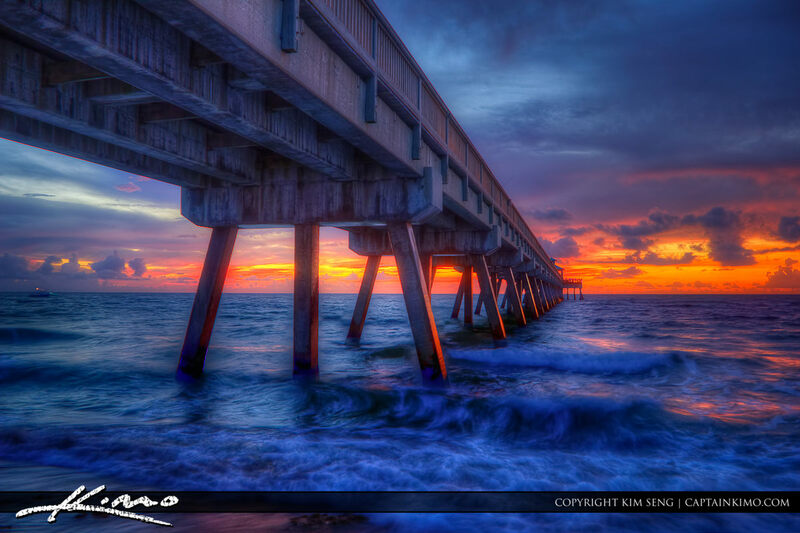 Five exposure HDR image created using Photomatix. 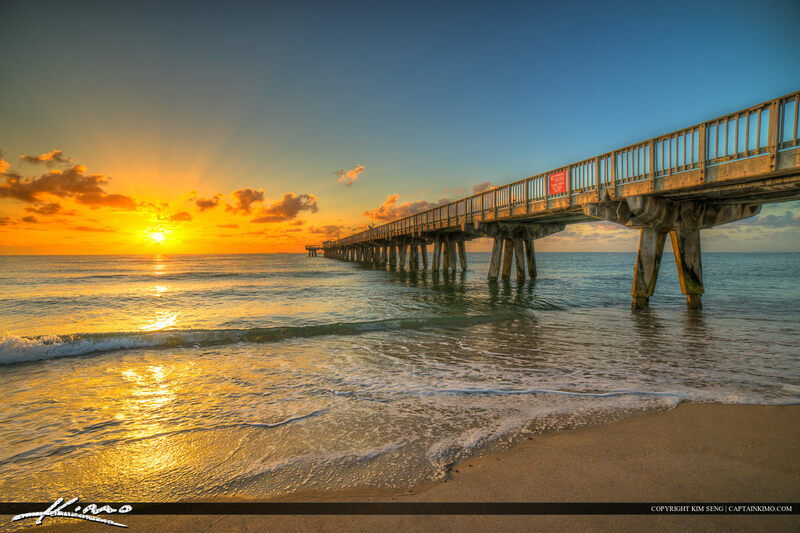 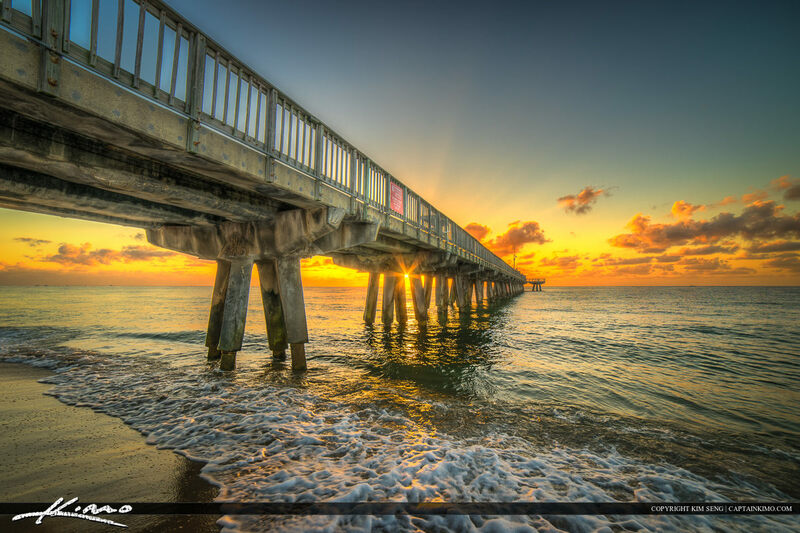 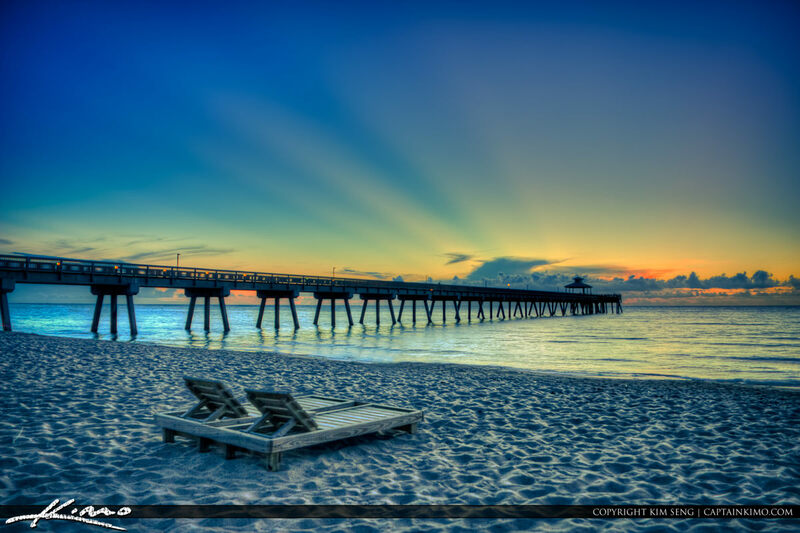 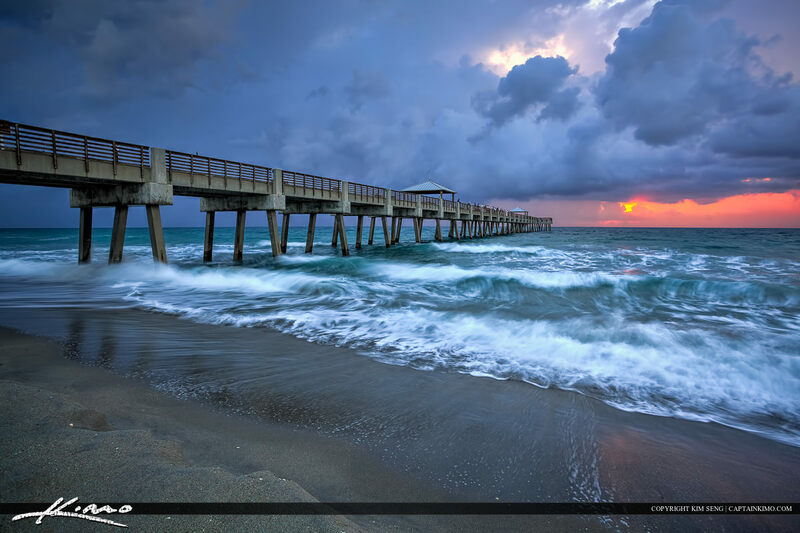 Three exposure HDR image shot from Juno Beach at the fishing pier in Palm Beach County, Florida. 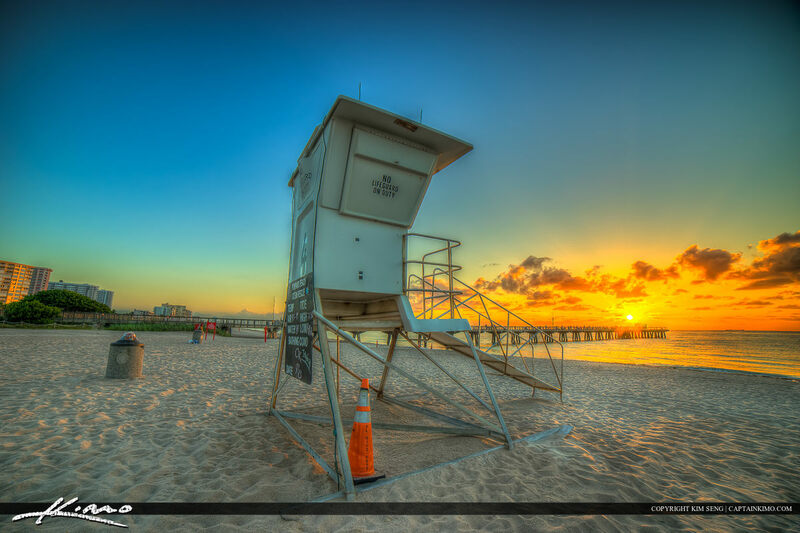 HDR created using Photomatix Pro. 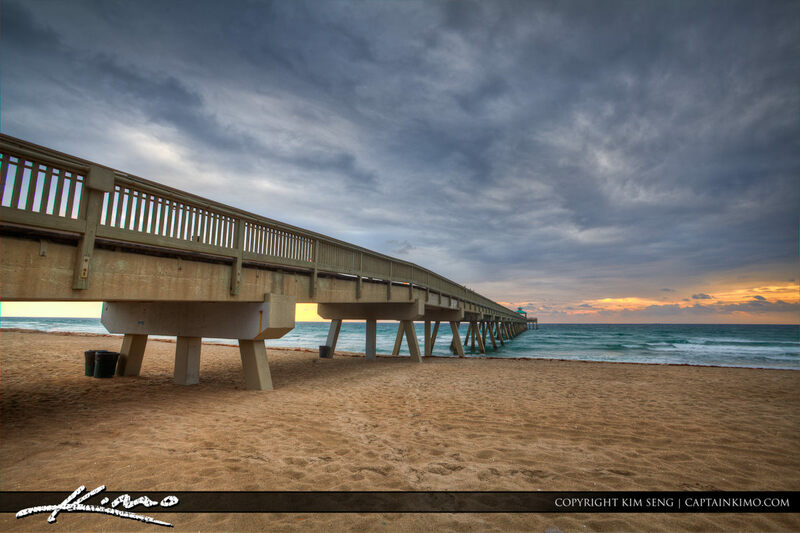 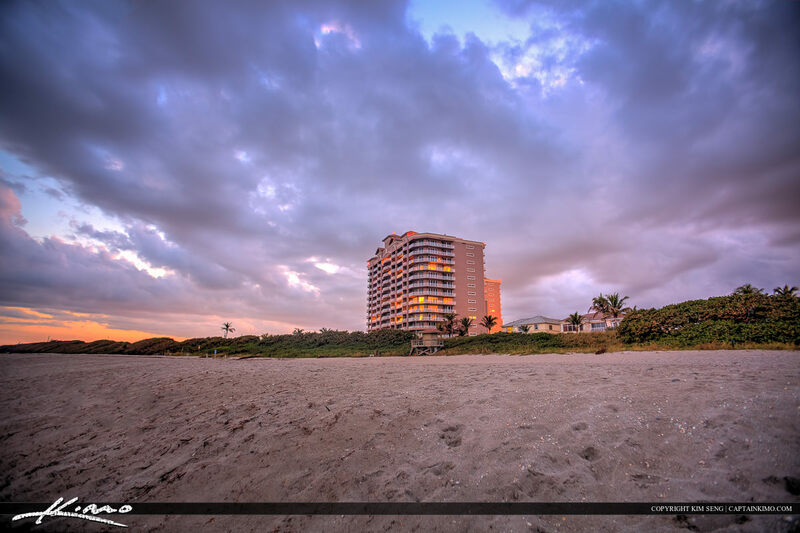 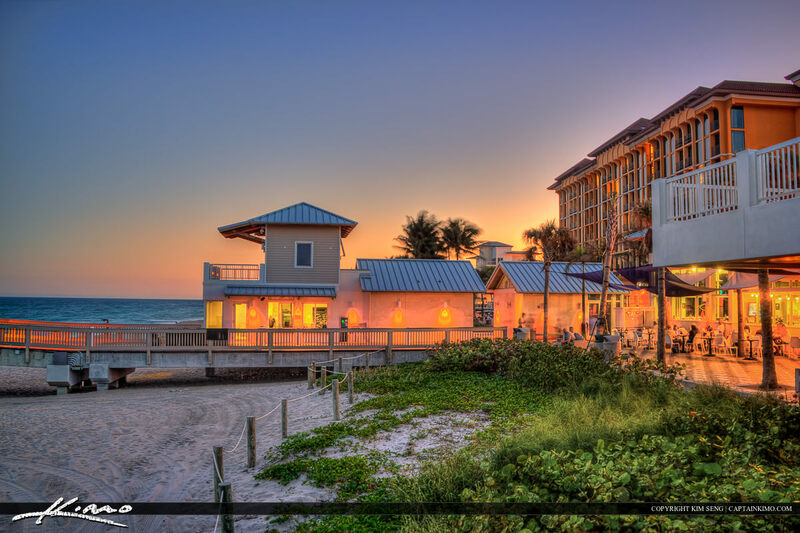 HDR Photography image from Juno Beach. 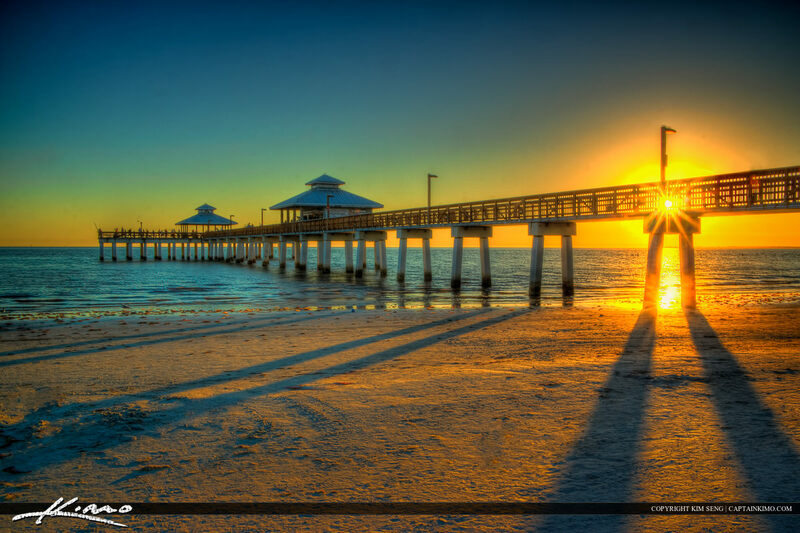 Three exposure HDR image created using Photomatix Pro HDR Software. 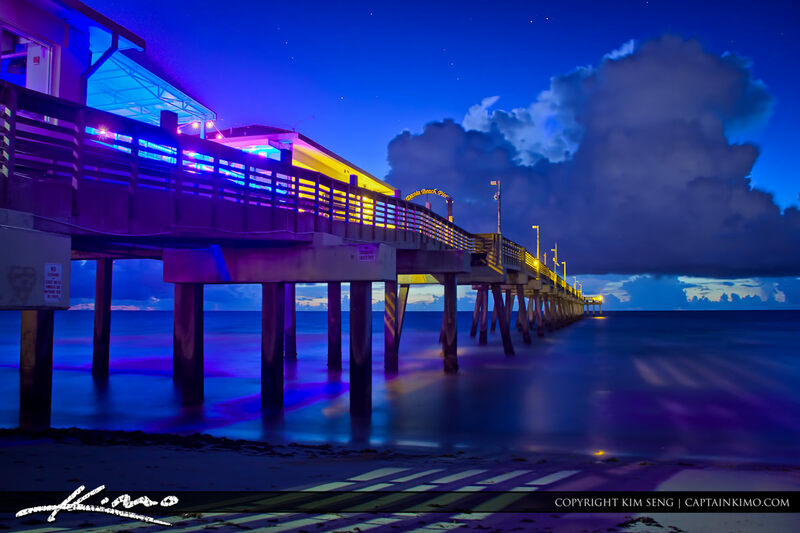 Nighttime image taken from underneath the Dania Beach Fishing Pier in Broward County, Florida. 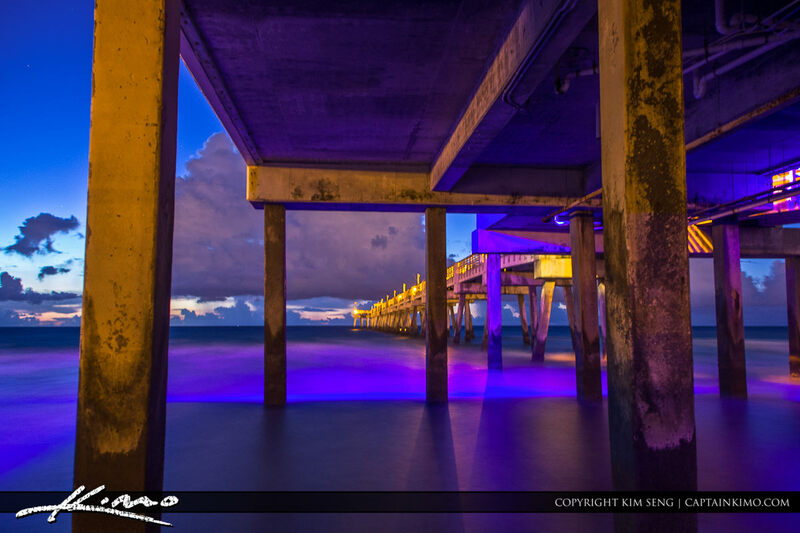 This morning I did a shoot at Fort Lauderdale but I stopped by the Dania Beach Fishing Pier for the early morning blue light at the beach. 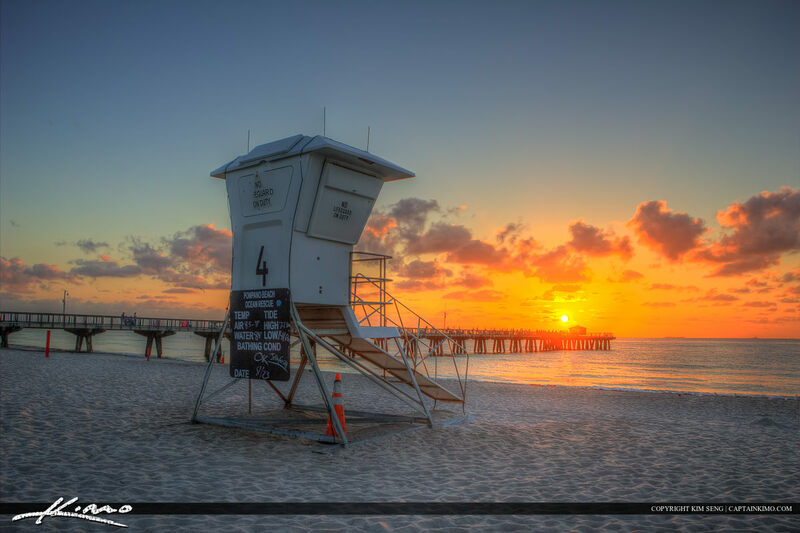 HDR image processed in Photomatix.